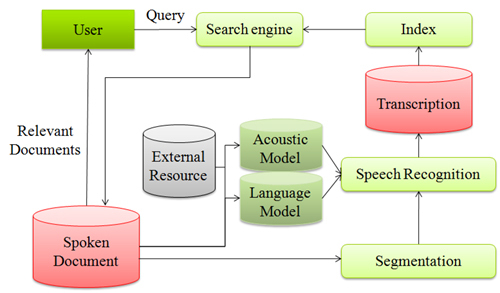 We have been developing the spoken document retrieval system based on speech transcription. Beacause raw audio-visual material is difficult to search and browse, usefulness of spoken document collections is limited. This system enables users to search for spoken documents as easily as they search for text. In this research, we have focused on out-of-vocabulary (OOV) problem. If out-of-vocabulary words are present in queries and the corpus, word-based system wil not be sufficient. For this problem, we consider phonetic-based approach. Yongwook Yoon, Gary Geunbae Lee. Text Categorization based on Boosting Association Rules., Proceeding of the second Interantional Conference of Semantic Computing (IEEE-ICSC 2008), pages 136-143. Yongwook Yoon, Gary Geunbae Lee. 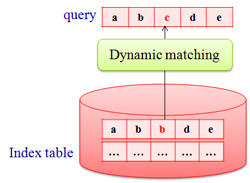 Efficient implementation of associative classifiers for document classification. Information Processing and Management: special issue on information retrieval research in Asia, 43(2):393-405, March 2007.